3 Steps Out of Total Confusion | Go From Stress To Success! 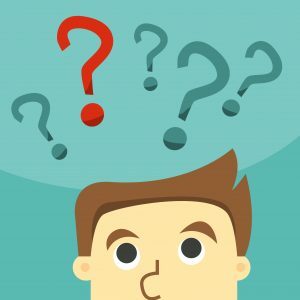 How many times have you been in the second or third week of a class – especially when it’s a topic you’ve never encountered before – and thought “I’m so confused! I’ll never understand this!” and given up? Believe it or not, you’re not alone. But what you need to know is that the confusion you’re feeling is completely normal. Too many people, when they feel this initial confusion, also assume that they must be stupid or unable to learn, and they withdraw from the learning experience and give up. But it’s not about being stupid. 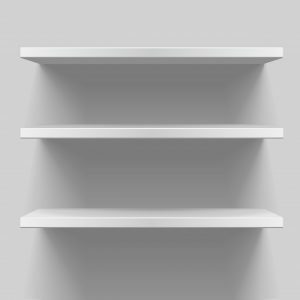 It’s about your brain needing some time to build storage space to store this brand-new information, because right now, it doesn’t “fit” on any of your brain’s bookshelves. In his book The First 20 Hours: How to Learn Anything . . . Fast! Josh Kaufman studied the techniques of rapid skill acquisition. He points out that although you need to spend 10,000 hours on something to become a top-level expert, you only need to spend about 20 hours on that thing to become reasonably competent. Those 20 hours need to be focused and intelligent, not haphazard, but within 20 hours, you can learn to play a musical instrument, knit, play chess, or absorb enough of a new language to get by with other people who speak it. Another thing that Kaufman points out – which is equally important – is that you will be very confused when you first try something new. What most students don’t realize is that this confusion is completely normal. To draw an athletics analogy, think about the first time you had to throw a ball at the basketball hoop from mid-court, or swing at the ball when it was pitched to you on the baseball field. You missed, right? And you missed again and again, but if you wanted to play (or if your parent was sitting in the stands cheering for you), you kept trying, right? Over time, you got better at it. Clumsy, untrained muscles learned the motions that would put the ball into the hoop, or the swing that would connect the bat to the ball and send that ball into the far outfield. When you first started jogging or running, you didn’t get very far, did you? But over time, your muscles got the hang of it, built up some stamina, and before you knew it you were running a half-marathon. Once you’ve gotten good with the idea that confusion isn’t the end of the world, it’s time to focus on making those first 20 hours really work for you. So, how do you make sure your first 20 hours are focused, so that they’re worthwhile? How do you make sure that you’re actually training your brain? Gretchen Wegner, M.Ed., has read the research on how to make learning stick, and from this research, she’s developed what she calls the “Study Cycle.” It’s the best way to train your brain and help you get past that confusion – and it’s just three simple steps. First, give yourself the time to learn. In class, don’t multitask. Put away your phone and your laptop. Take your notes by hand, and learn how to take effective notes, so that you’re not rushing through them. Focus on the lecture or presentation, and ask questions about things that confuse you. During your study sessions, study one thing at a time. Try to study each of your subjects for no more than 45 minutes at a time, and no more than once every other day. Second, give yourself the chance to check. Did you actually learn what you think you learned? Oh? Are you sure? Research shows that students who take the time to check what they think they’ve learned will often do better on exams, because the checking exposes what they still don’t know and still need to learn. But most students don’t check – and they go into an exam thinking they know something just because it looks familiar. Familiar is not your friend – check and make sure you can define and explain the “familiar” thing, because until you can, you haven’t learned it. Third, give yourself a second shot. If there’s things you still don’t know after checking, then the way you were using to learn them didn’t work. Don’t use the method you used before – instead, find a new way to learn them. If you learned it the first time by reading the textbook, but it didn’t stick, then maybe you need to study with a group of friends, or work on creating some flash cards, or even rewrite your notes. But don’t do it the same way over and over. That won’t help you at all. In class, most of your time is going to be spent taking in the information, but in your study sessions you can decide ahead of time whether it will be one where you’re putting the information into your head, or one where you’re checking to see if you know what you learned. Designate it that way on your planner – “English: learn Topic,” or “History: check Topic.” If you alternate your study sessions between learning and checking, you will begin to identify what still confuses you even after you’ve studied it, and what’s actually clicked, because when you check, you’ll know it. Over time, by using and training those learning muscles in your brain, this will get easier. But you have to get through the first few hours of total confusion before that happens. So when you feel confused, recognize that as the first real step in the learning process instead of letting it discourage you, and lean into it. Learn, then check, then learn again – and you’ll find your brain building bookshelves before you know it! Posted in Best Practices, Studying and tagged for students, study skills.